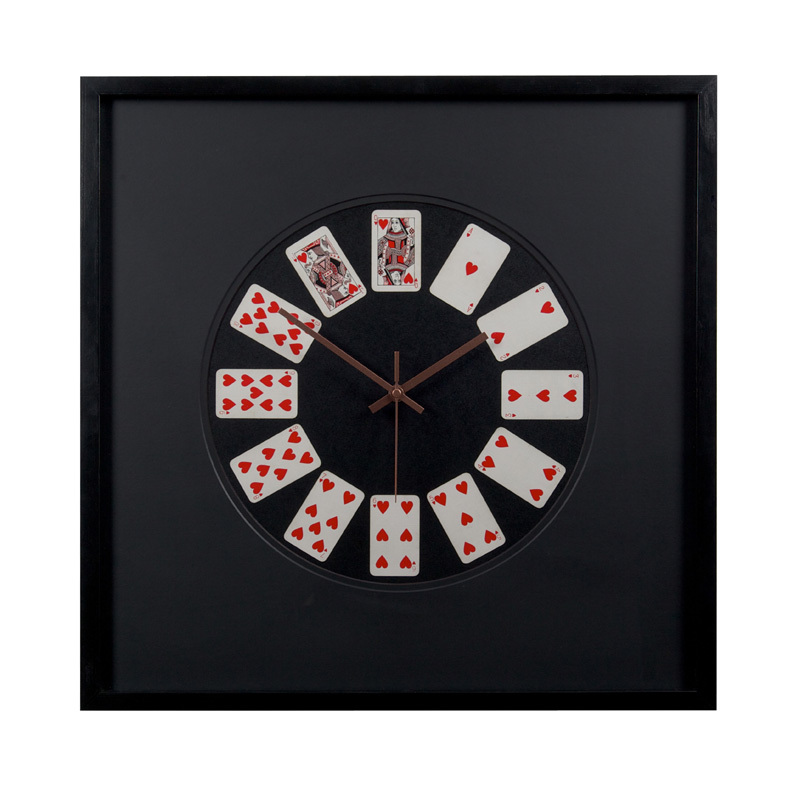 Whether your game is poker, blackjack or bridge, this fun wall clock has to be on your holiday hotlist! Hang it in your games room or above your bar counter. The dramatic and trendy look is created by a Suit of Hearts, each one depicting an hour. The black face highlights the white and red and a set of copper hands contrasts for a stunning finish. If you are looking for the perfect gift for your card-playing friends, this is it. Size 40cm x 40cm.